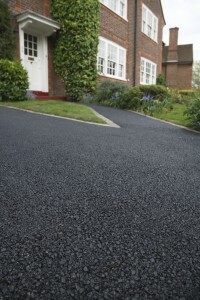 An Align Asphalt driveway will easily transform your bumpy and unsightly gravel driveway into an impressive, uniform, sealed surface that reduces dust and noise and will increase the value of your property. Imagine no more dirt and gravel being tramped through your home and carpets! An Align Asphalt driveway also makes a great surface for children to play on. Align Asphalt driveways are pleasant to walk on, easier to clean, and look absolutely stunning. Whether you want to transform your driveway into a decorative masterpiece or just add a splash of colour, Align Asphalt has a design solution that will meet your taste and your budget. We can create the most magnificent driveways in Australia and offer a complete range of design solutions to compliment your home. We also offer a range of prestige and stylish edging finishes including brick edging and Kwik Kerb continuous concrete edging, available in many natural colours. Our edging finishes are not restricted to just to asphalt driveways, but ideal for border edging, garden edging, garden kerbing, and garden borders. Align Asphalt driveways are also highly sought after by landscapers, builders and other contractors to assist them in constructing new driveways. Contact us to now discuss your driveway design requirements and for a prompt, FREE, no-obligation, on-site measure and quote. What’s more we will provide FREE friendly advice, great suggestions and outstanding customer service. Call 0457 202 342 to discuss your asphalt driveway design or send us an email via our contact page.